This bold and unusual design in a reltively low-knot (probably about 60 knots/square inch) is unusual. 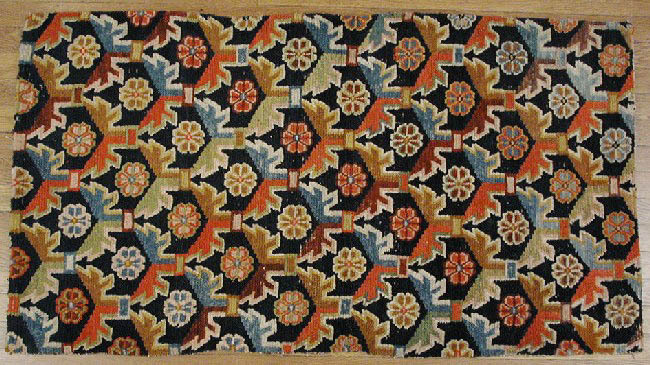 The weaving is prcise and skilled, and the pattern entrancing. No borders.